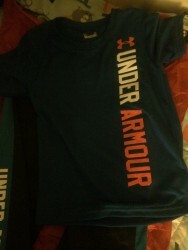 Kids Headquarters introduced me to the Under Armour Baby and Kids clothing line which I have to say is just fantastic! 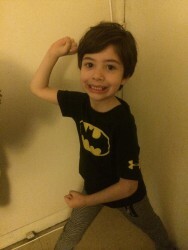 Under Armour is the brand empowering kids to be their very best every day of the year! Under Armour’s Alter Ego tees will inspire your little one’s to become their favorite Superhero and let their imagination’s run wild. Under Armour Heat Gear technology keeps your little ones cool and dry in all conditions. UA tech fabric is ultra soft and has a 4-way stretch that allows for greater comfort and movement. 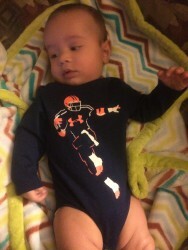 Under Armour also has the cutest baby sets around. Their babywear and bodysuits are made for all day comfort with a three snap bottom that allows for easy changing and the durable tricot pants are smooth on the outside and have a soft interior that keeps baby cool and dry. We just love the style, quality and durability of Under Armour. We also love companies that Give Back and Under Armour is doing it’s share and proudly giving back to those that inspire with their strength and will. Under Armour proudly supports Power In Pink, (UA Power In Pink) that helps raise awareness about breast health. Win Global, (UA Win Global) helps by providing youth access to sports. Under Armour Freedom, (UA Freedom) is Under Armour’s way of making sure our Heroes get the support that they so deserve. 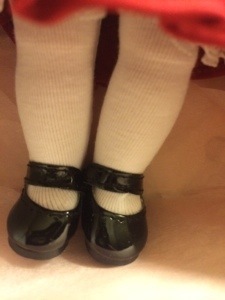 *Samples were provided to WeeBaby for review. All opinions as always are my own. 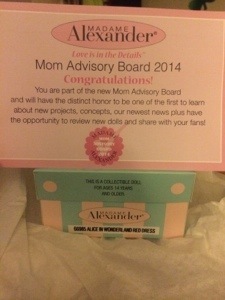 I am beyond excited to be a member of the Madame Alexander Mom Advisory Board for 2014. I am going to be able to share all the wonder, that is Madame Alexander! Let me tell you a little about how this magical company came to be. Madame Alexander Doll Company was founded in 1923 by Madame Beatrice Alexander Behrman whose father owned the first Doll Hospital in America. 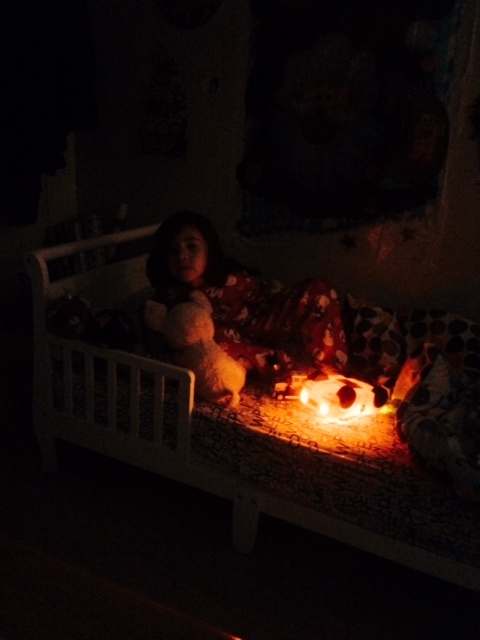 It was here that she played with the dolls waiting to be mended. Beatrice Alexander believed in the American dream and started her own doll company. 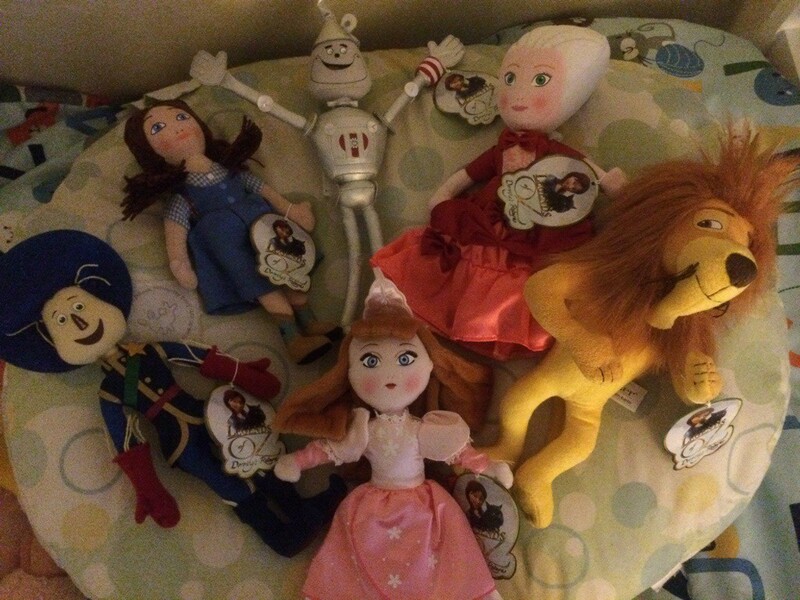 Her vision focused on the belief that dolls should engage the imagination and aid in a child’s happiness. 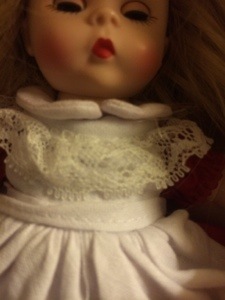 Madame Alexander Dolls continue to delight children and collectors all over the world. 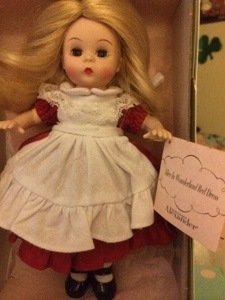 With Madame Alexander Dolls you get handcrafted quality that is impeccable even to this day. Madame Alexander has an extensive doll line that includes Baby Dolls, Newborn Nursery Dolls, 18″ Dolls, Character Dolls, Madame’s Best which include the 90th Anniversary Collection, Americana, Ballerinas and Fairies, Broadway and the Movies, Fashion, Holiday, International, Special Occasions, Women of Fashion and History and the Storyland collection. 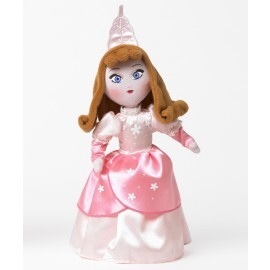 I just adore the Storyland collection and was ecstatic when I received the (Alice in Wonderland) Alice in Her Red Dress 8-inch collectible doll for review as part of the Mom Advisory Board for Madame Alexander. 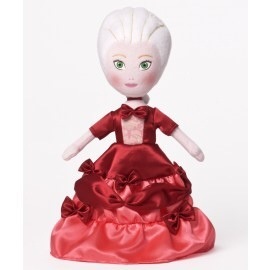 Alice in Her Red Dress is an exquisite, fully articulated blonde,browned eyed doll that is a girl’s dream come true. 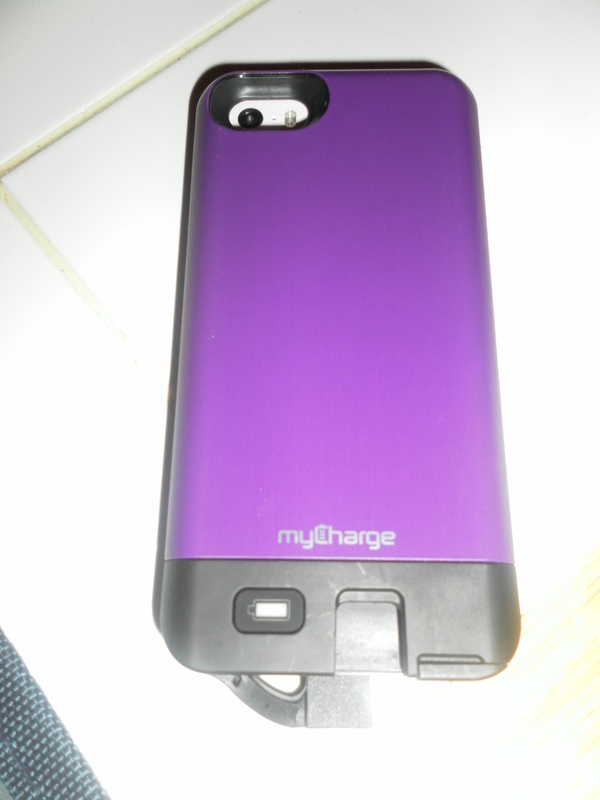 I felt like a little girl again when I received her myself! Her dress is red crepe-backed satin that has puffed sleeves that are made from the satin side of the fabric, while the skirt features the crepe side of the same fabric. With a white collar and ruffled apron hem her dress is perfection. Top that off with a black headband and black patent Mary Jane’s, Alice is complete. Alice in Her Red Dress is available for $99.95 and is for age 14 and up. 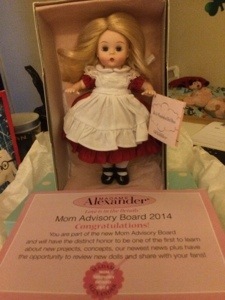 * WeeBaby is a Mom Advisory Board member for the Madame Alexander Doll Company and received a sample for review. All opinions are my own. B. Toys are not your usual toys. B. 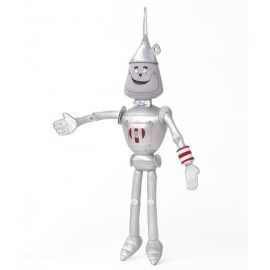 Toys are inspired by the world, childhood, travel and other things that provide a moment of delight. B. 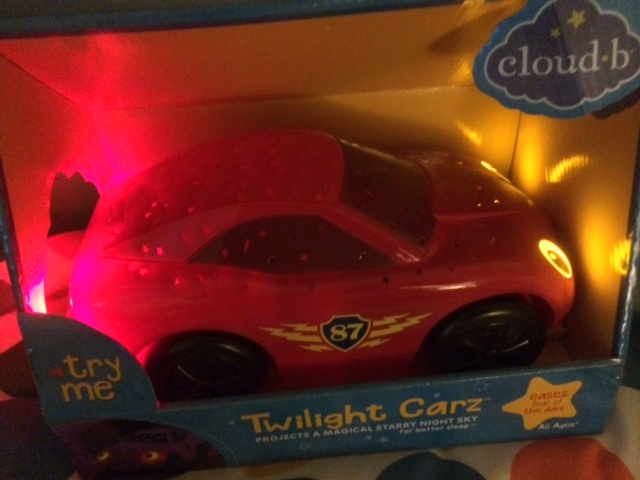 Toys is committed to children and the world in which they live. All the packaging is designed using recycled materials, the boxes become pretty trays and even revert to become a gift wrapped box. B. 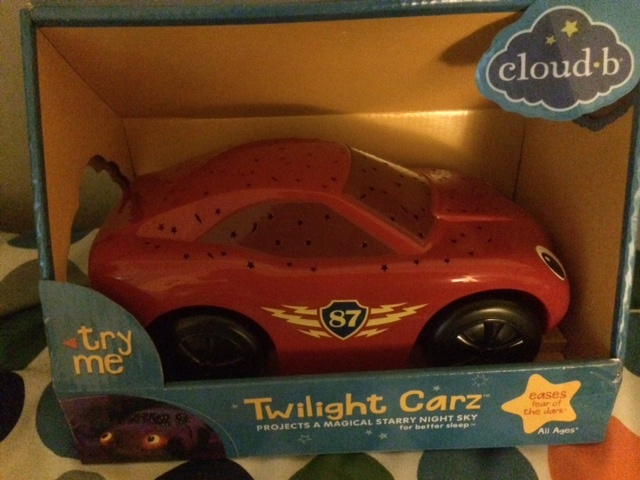 Toys goal is to be much bigger than just a toy company. B. 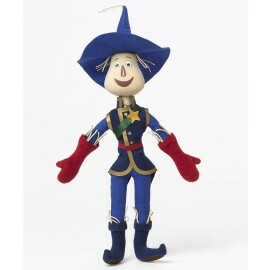 Toys want to be the voice of children…to say that it is all right to Be You! 1. 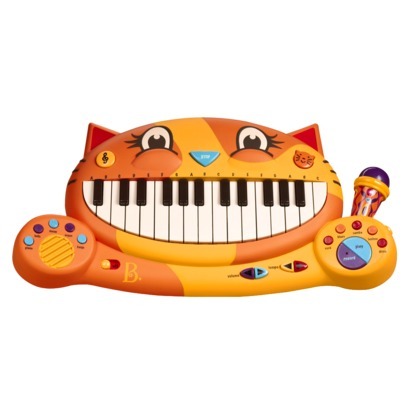 Meowsic (2-6 years) Instruments & 5 rhythm sounds, 20 familiar songs, 7 witty kitty songs , Retractable sing-along mic, Lyrics included, Control volume, beat & tempo, Meowsic purrs itself off with an auto-off feature. 2. 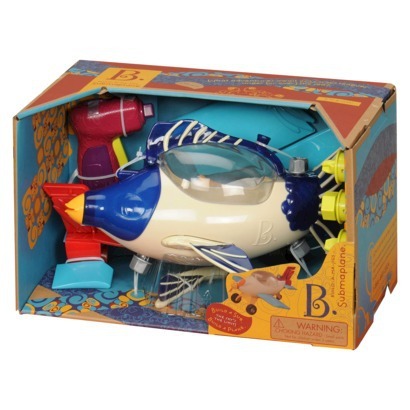 Build-a-ma-jigs Submaplane (3-8 years) Comes with 29 pieces, a power drill that has 3 interchangeable bits that sound and work like a real drill, build a submarine or airplane, can be used with other Build-a-ma-jigs sets. 3. 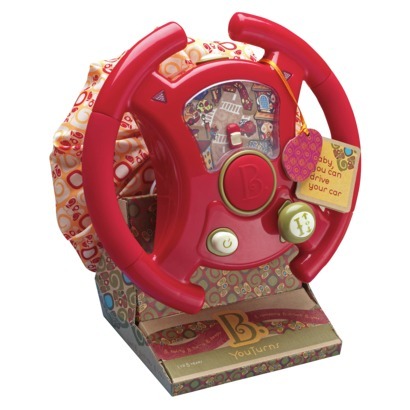 You Turns (1-5 years) Your little one is in the driver’s seat now steering the little car around. 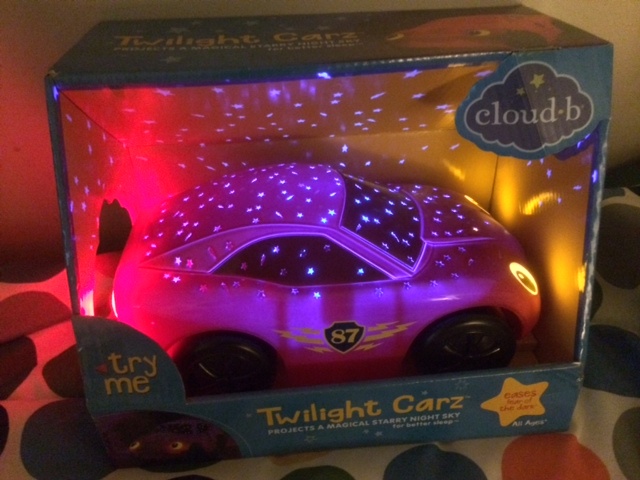 Forward, reverse, neutral, horn sounds, LED light blinkers, a variety of driving songs, screen lights up for night driving and it flips over and doubles as a pillow for road trips! 4. 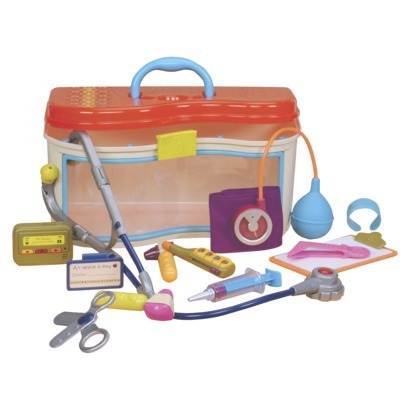 WeeMD (18 months-5 years) The perfect doctor play kit includes 14 pieces including a house calls case, Clipboard with paper, Reflex checker hammer, Otoscope (aka “earchecker”), Thermometer, Bandage for Boo-Boos, MD name tag, Stethoscope with heartbeat sound, Blood pressure cuff with gauge and spinning needle, Tweezers, Safe syringe, Just-as-safe scissors, Beeper with light and sound for busy little doctors. 5. 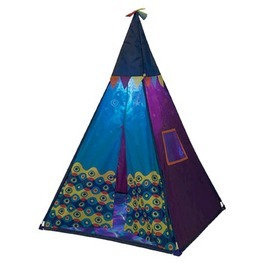 Illuminated Teepee (3-8 years) This beautiful and magical teepee lights up from within. It is roomy with 11 pieces that are easy to assemble and easy to put away. 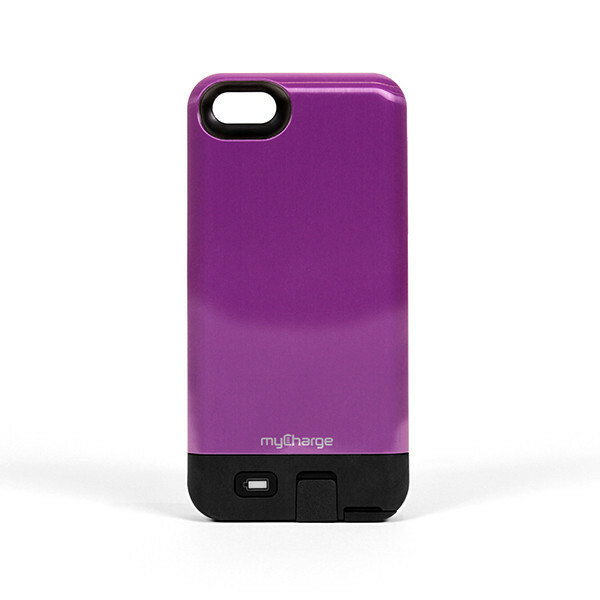 Designed with gorgeous patterns and colors inspired by world travels. Once inside, pull the lantern’s cord and discover a magical light show. Colorful stars are projected all around! 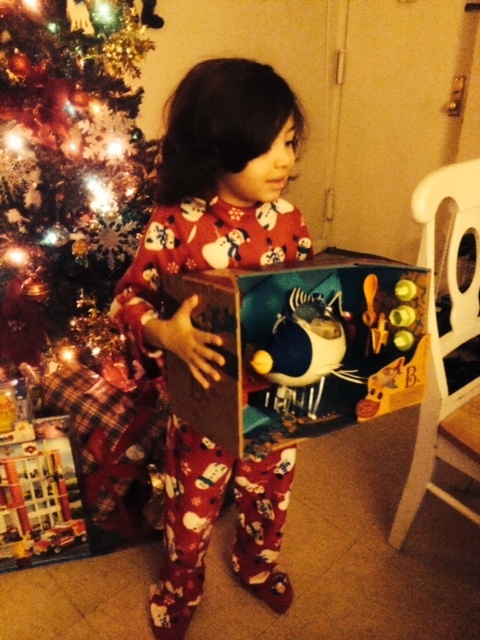 My little one loves his Build-a-ma-jigs Submaplane and plays with it for hours. 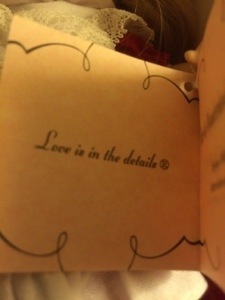 Now that says a lot about a toy…love B. Toys for that reason. Keeps a child’s attention and imagination going for hours! Our Generation Dolls by Battat are 18 inch poseable dolls that carry the message that girls in this, their generation are amazing and powerful! As the company states “It’s about girls coming together and creating the narrative of an extraordinary generation.” The line of Our Generation Dolls and accessories is quite large. 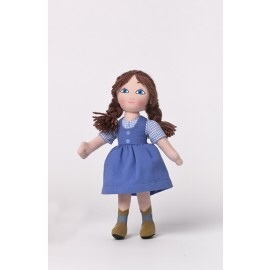 There is the regular doll that comes with one outfit and the deluxe doll set that comes with a book, extra outfit and accessories. 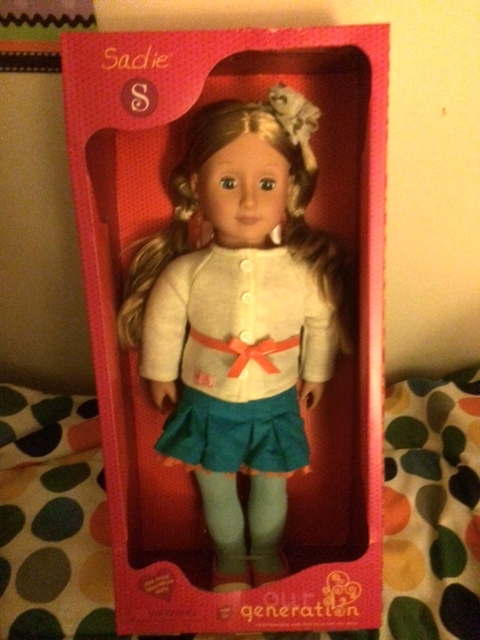 Our Generation Dolls are similar to American Girl Dolls except the price point is much more friendlier. 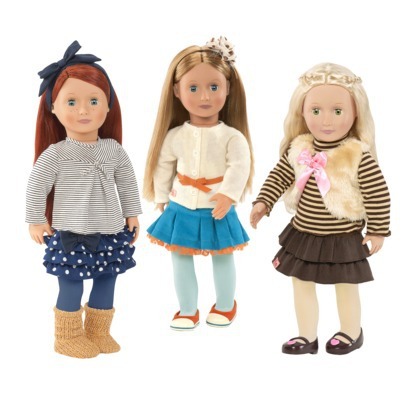 Prices range from $22.99 for the 18 inch regular doll to $32.99 for the deluxe doll set. Some of the other accessories include salon chairs, beds, horses that the dolls can “ride on”, bikes, cars, kitchen sets and so much more. 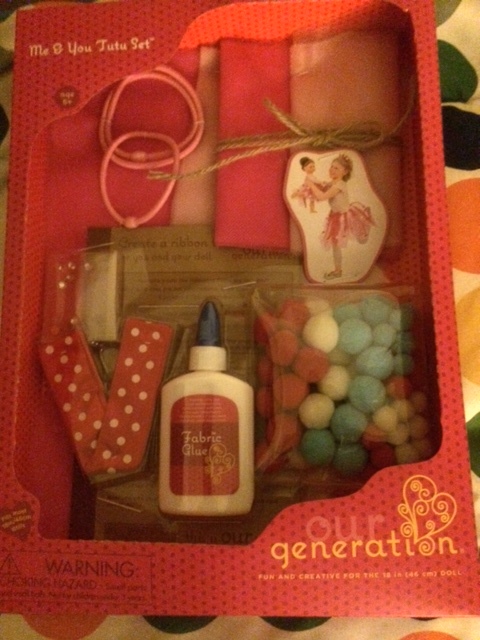 Truly a wonder collection of dolls and accessories that your girl will truly love and enjoy! Thyme Maternity is the leading Canadian maternity brand from Montreal that launched in 2012 here in the USA. Their entire line will carry you from the beginning of your pregnancy to the end and even after, all in style and comfort. 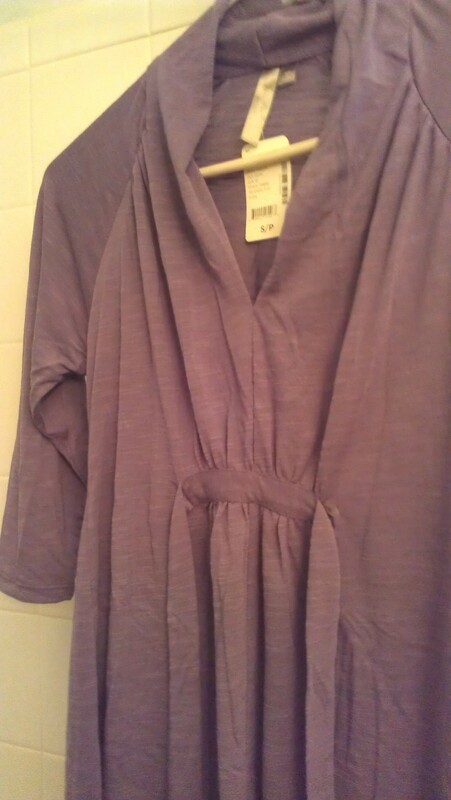 Their clothes are soft, comfortable, durable and best of all at an affordable price point. Thyme Maternity has an exclusive partnership with Babies R Us. Thyme Maternity also carries lingerie and sleepwear and has a fabulous skin care line. I was sent a sample and since I am not pregnant, I happily passed it on to one of my friends, and she could not have been more pleased with this product. So soft, comfortable and very stylish were her comments. I also love the price point, who wants to spend a lot of money on maternity clothes, no one and why should you, thanks to Thyme Maternity you don’t have to! *I was sent a sample for review. All opinions as always are my own. I was introduced to these adorable pets at the New York International Toy Fair this year. What are Scanimalz you ask, well they from SCANdinavia, sometimes have SCANic attacks, like to do SCANnon balls and make SCANtastic pets! Scanimalz from Wicked Cool Toys are cute, cuddly soft plush pets that have QR codes on their bellies that are scanned and unlock the world to SCANtastic adventures. Boys and girls alike will love the technology and interaction that comes with the Scanimalz world. This is unique in that the App prompts kids to scan their pet’s belly on a daily basis , and offers optional plush notifications alerting players to special scanning days, events, and letting them earn points, thus will keep your child connected to their pet. The App is FREE and the plush is affordable at the $9.99 price point. 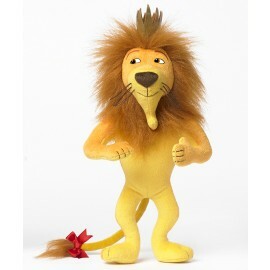 Scanimalz are available at Toy R” Us and other retailers nationwide. Age wise, their website really doesn’t say, but to me the technology is really for an older child (8-12) but the games seem to be geared for a younger child (4-8). The games are really fun and kept my 4-year-old interested. We also took it out on daily outings that required transit trips and it kept him quiet and engaged until we reached our destination, which of course is a big plus in my book. Mixing cuddly plush with virtual gaming technology and it definitely comes out a winner! This is one cool toy! 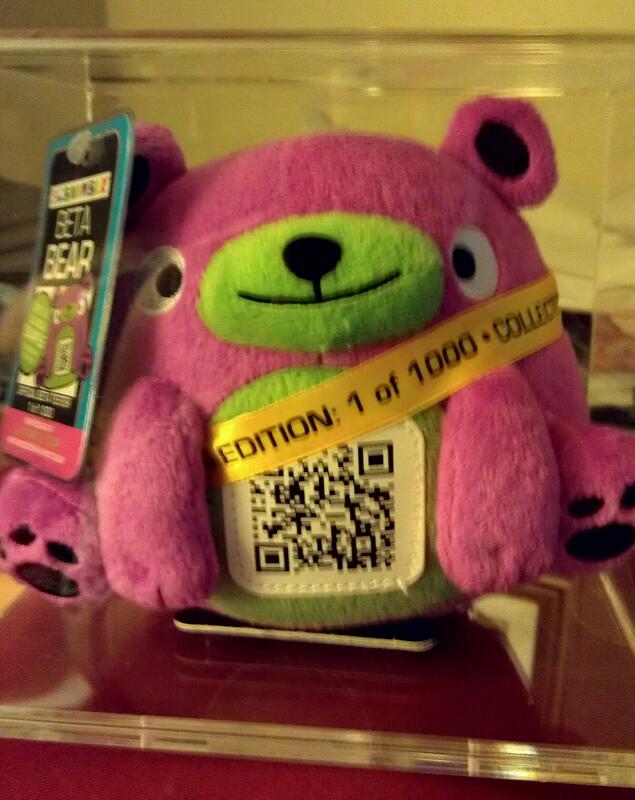 Wicked Cool Toys generously provided me a Limited Edition (highly collectible, 1 out of 1000 Scanimalz Plush Purple Bear to Giveaway. At the BigToyBook’s recent BabyPalooza blogger/media event held at Delta Children’s NYC headquarters I was introduced to VTech’s InnoTab 2 Baby Tablet. The InnoTab 2 Baby is designed with a growing child in mind, which I love. Starting at 12 months up to age 9, this is the tablet that will grow along with your child. The tablet comes with a soft, removable gel bumper that helps protect the InnoTab 2 Baby from tumbles. 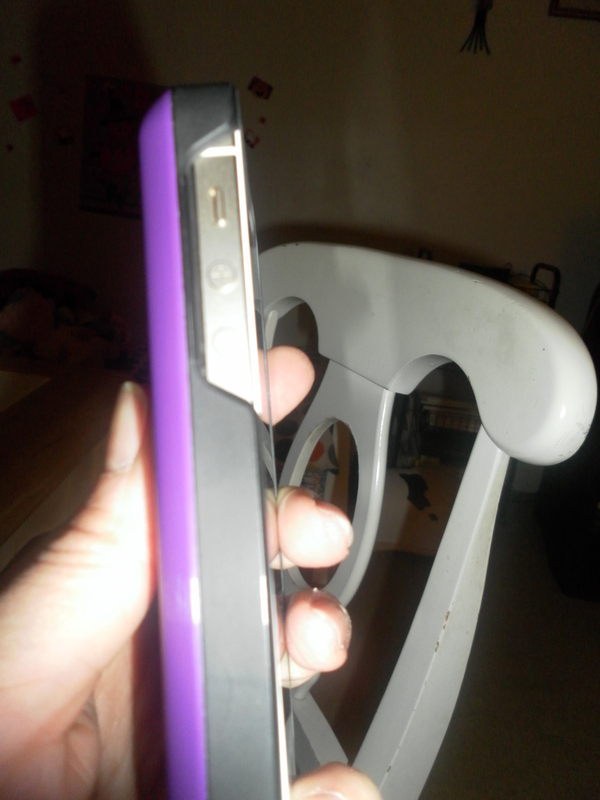 I also like the bumper because it protects the cartridge from prying little hands that want to remove it. What little ones can’t see, they won’t touch. The InnoTab 2 Baby includes content specifically for infants, including a Baby Sign Language program from Baby Signs, Inc. the world’s leader in sign language for hearing babies. The InnoTab 2 Baby has four activities for infants and toddlers including a Noah’s Ark e-book, 12 sing-along nursery rhyme songs, and a drawing and coloring activity that will engage your child . InnoTab 2 Baby also includes a rotating camera, a video recorder, MP3 music player, e-book reader, video player, art studio and other fun apps for children to play with as they grow, With VTech’s extensive software cartridge library and compatibility with all InnoTab content on VTech’s Learning Lodge this is the only tablet your child will need. My 4-year-old just loves this tablet. He would not put it down. He likes the Color & Pop which is a virtual coloring book and the Motion Games. 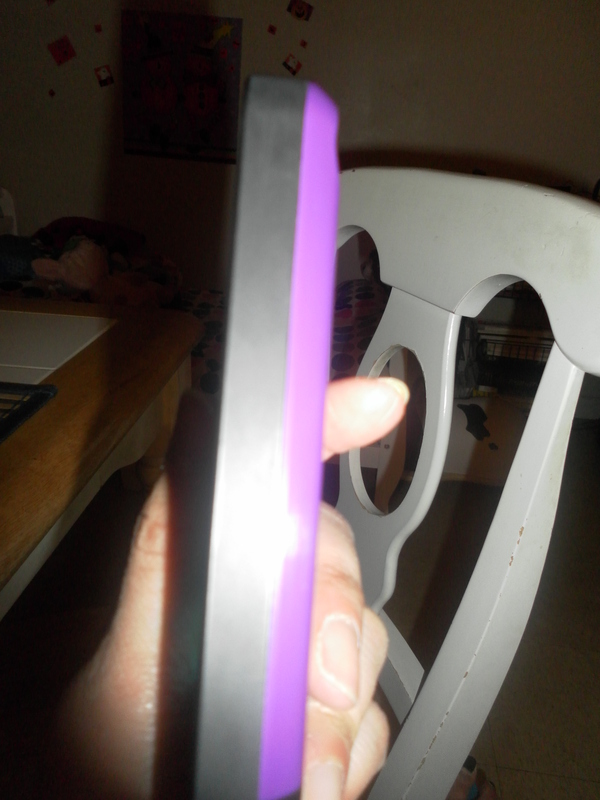 He also is having a blast taking pictures from the Rotating Camera and really enjoys using the Styluses (it comes with 2) and putting it back in its holder on the back of the InnoTab 2 Baby. 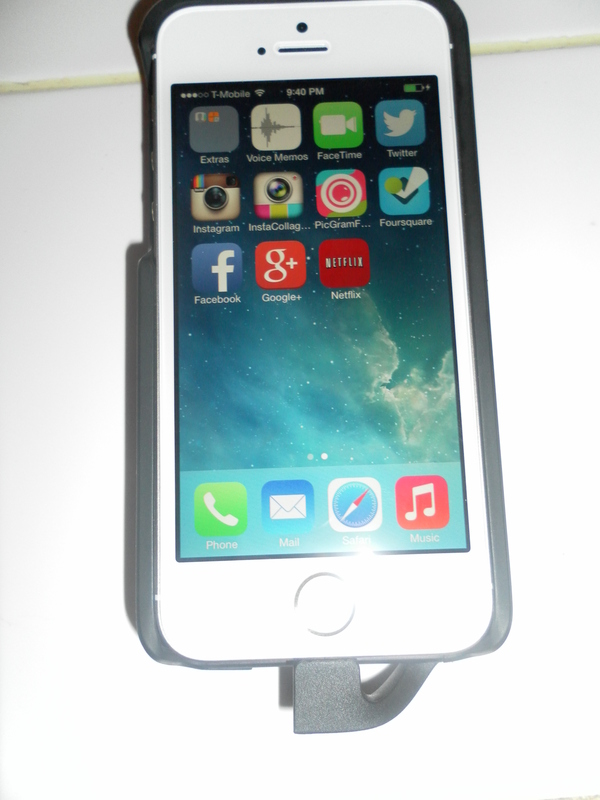 Set-up is super easy, I had the InnoTab 2 Baby up and running as soon as the batteries were installed. 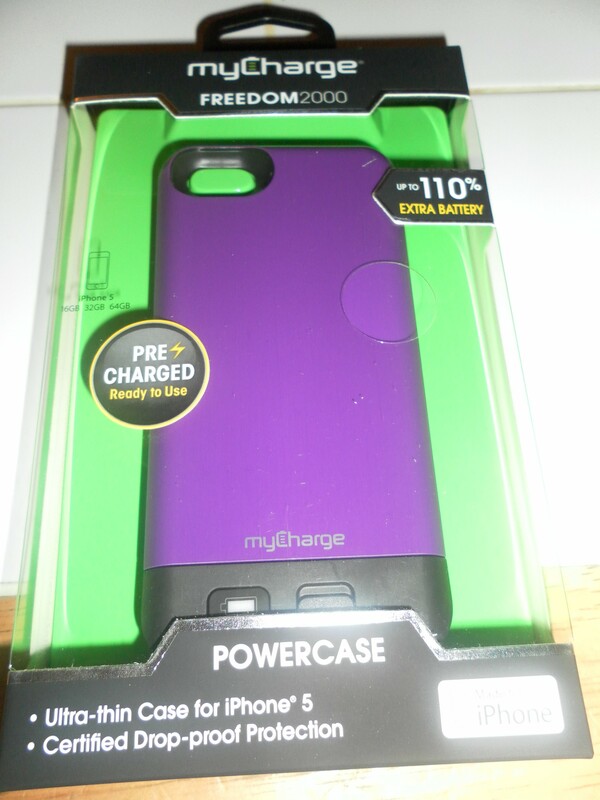 Requires 4 AA batteries which are not included. 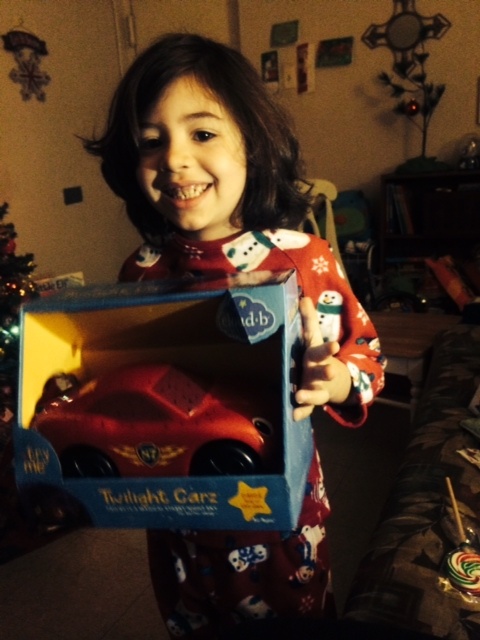 I just love toys that engage a child’s inmagation and VTech never disappoints.